Aniello Insurance specializes in providing contractors general liability insurance and other coverages vital to contractors including builders risk insurance, commercial auto coverage, and insurance for tools and equipment. Nevada Contractors Insurance can be very confusing at times, so we are here to assist you through the process of selecting the right coverage from the right company. We have many companies to find you the best possible coverage at an affordable price. We have many years in the Construction insurance industry to evaluate your risk and solve the coverage needs of your construction company. Bonds -Bid Bonds, Contract Bonds, Payment and Performance Bonds, Subdivision Bonds, Court Bonds, Off-Site Improvement Bonds. Umbrella - Provides excess coverage over your underlying General Liability and Business Auto. Contractor's Errors and Omissions - Provides Professional Liability insurance for contractors. Contractor's Pollution Liability - Covers job site and all types of pollution exposures. At Aniello Insurance, we have the contractors specialists to understand your risks and develop insurance solutions to fit your industries needs. 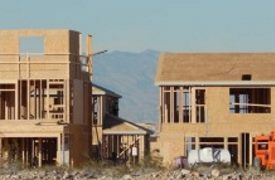 So, contact us to find out more about your contractors insurance in Las Vegas, Nevada including the Boulder City, Henderson, Mesquite, N. Las Vegas, and Pahrump areas.